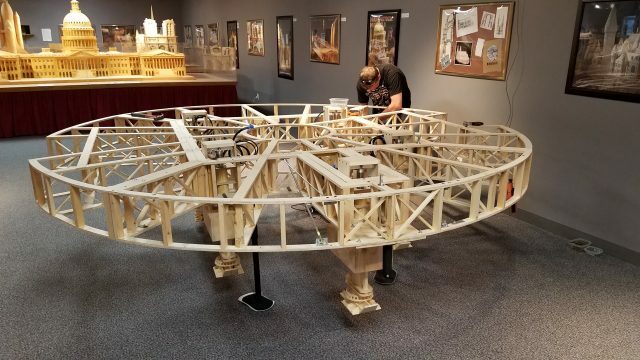 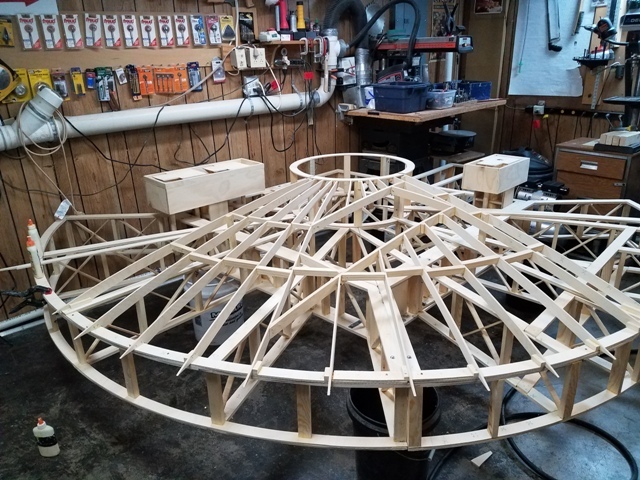 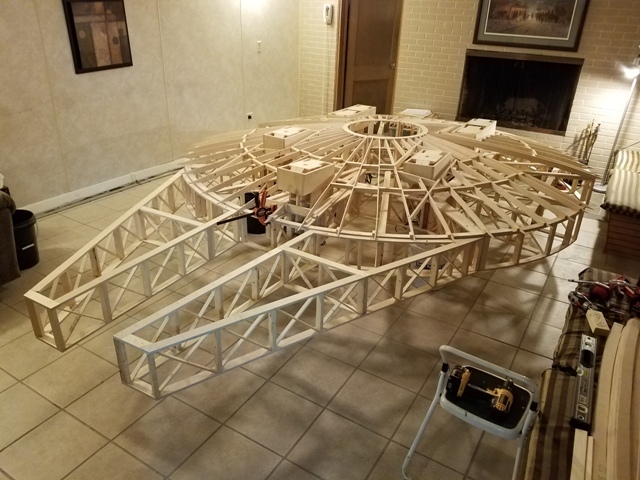 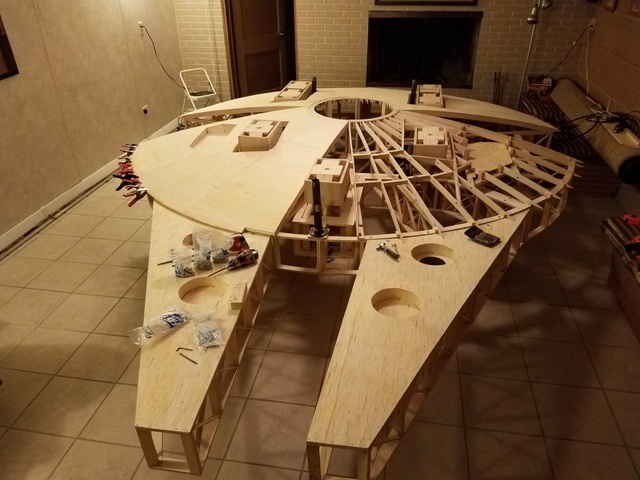 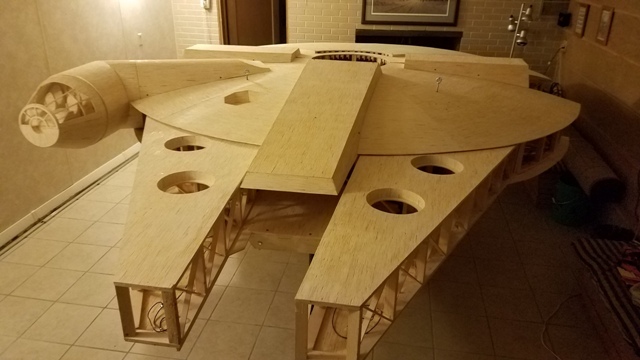 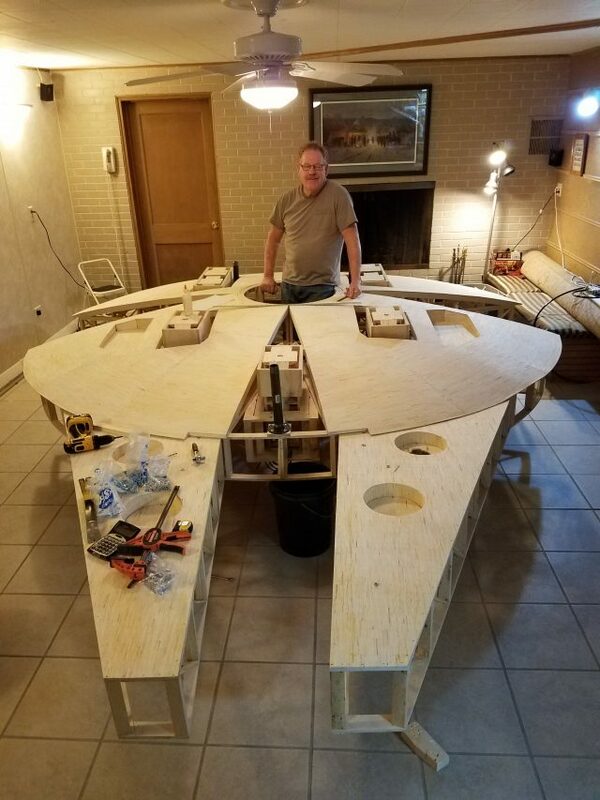 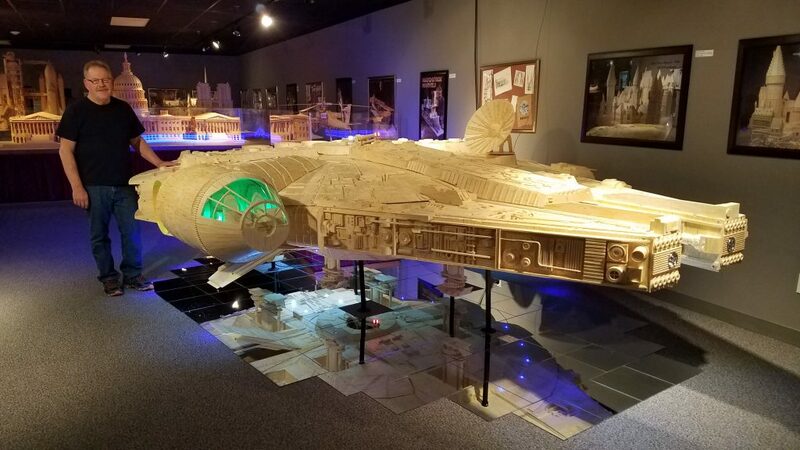 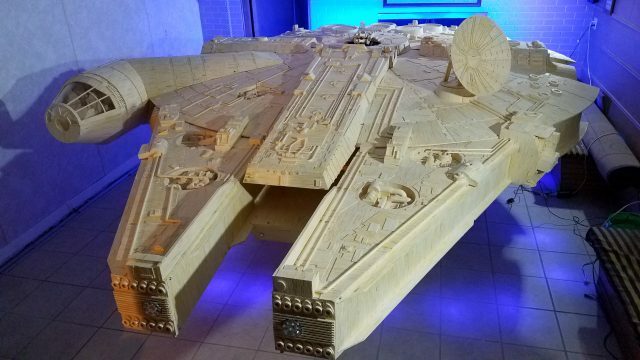 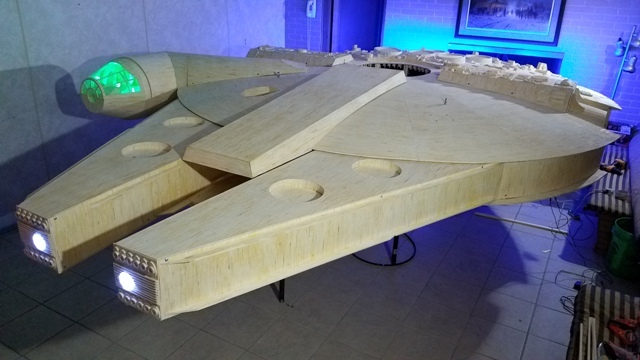 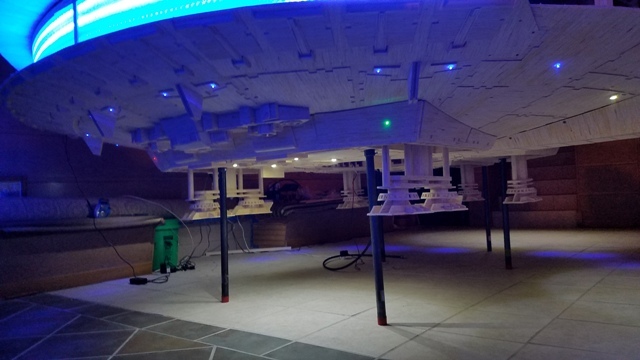 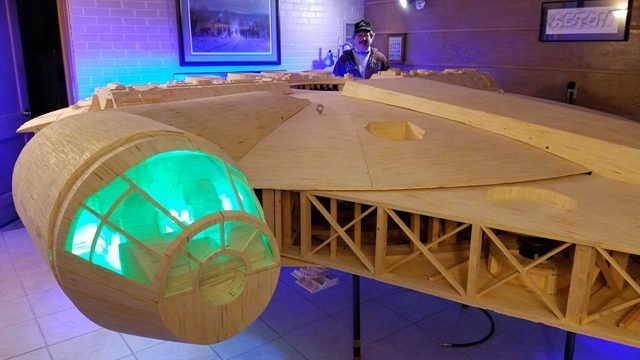 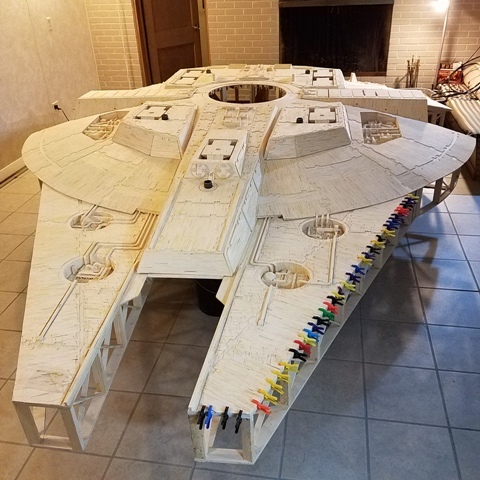 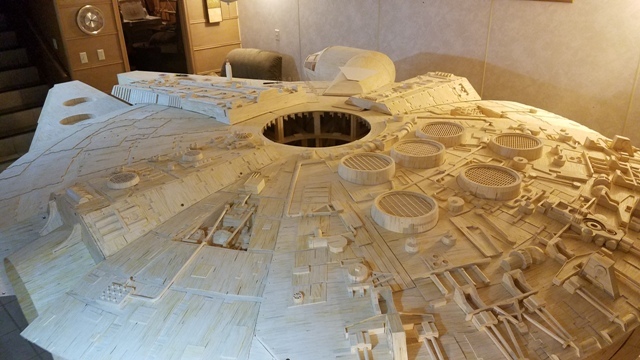 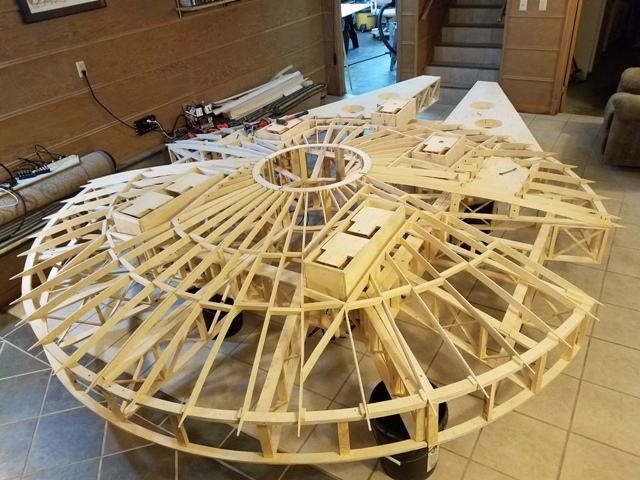 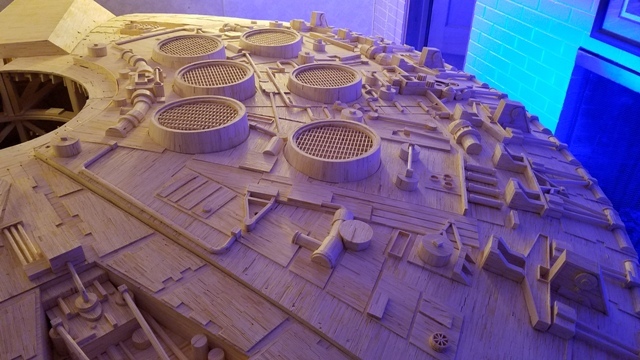 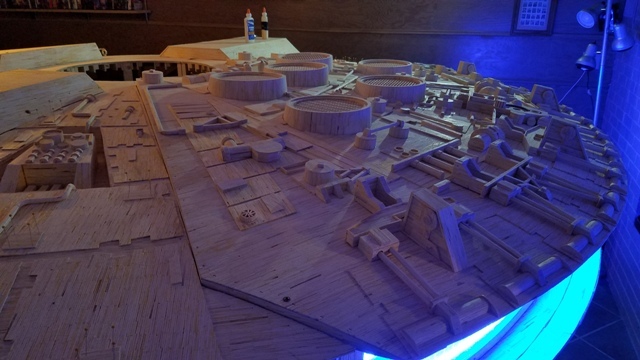 Construction of the Millennium Falcon model took 910,000 matchsticks and was completed in June, 2017. 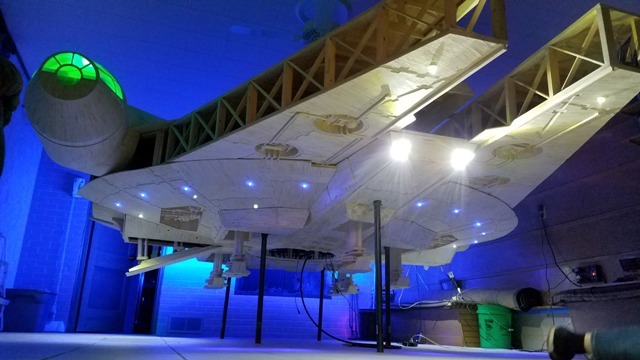 As one of the most iconic Star Wars features, the model has a retractable landing gear and cargo ramp, running lights, engine-thruster lights, landing lights, and forward flood lights. 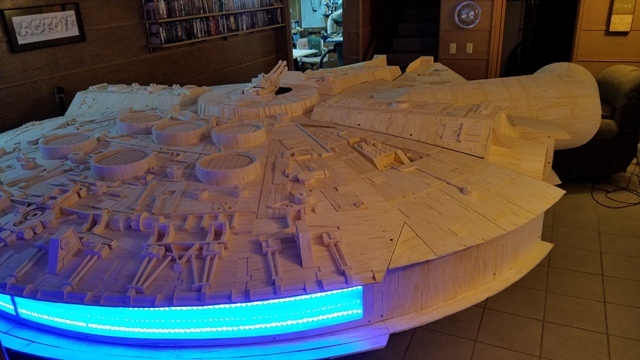 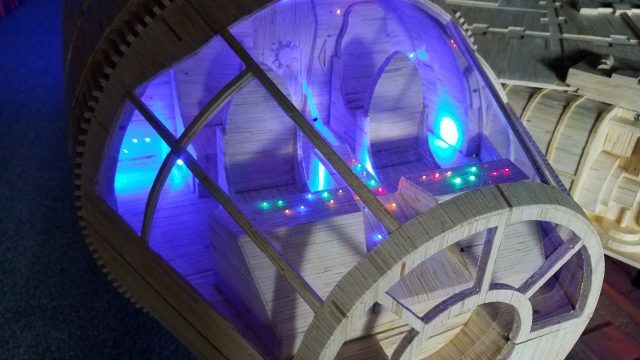 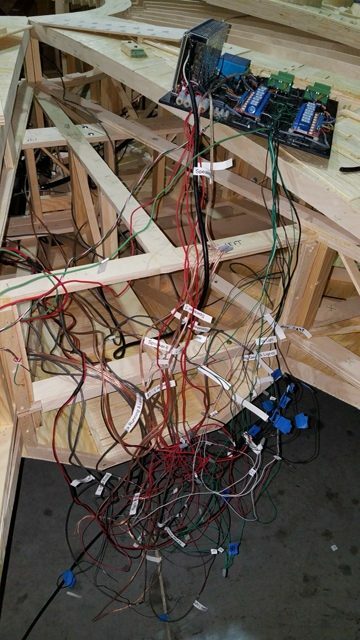 It includes sound, rotating dish, laser guns, and a cockpit featuring fiber optic lighting. 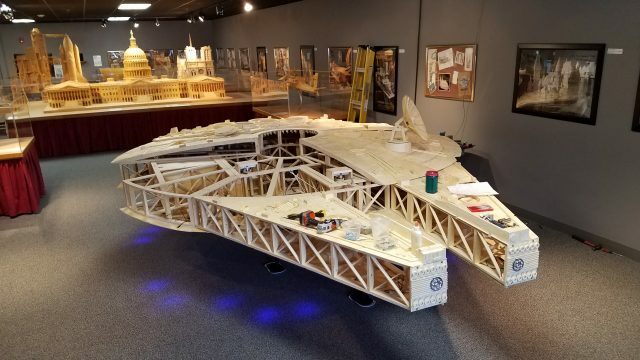 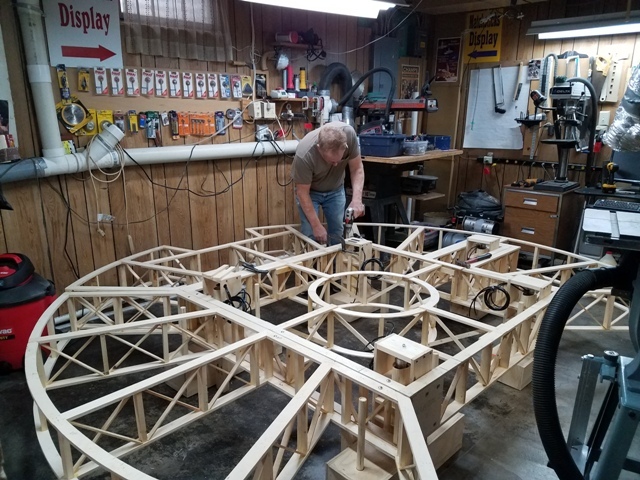 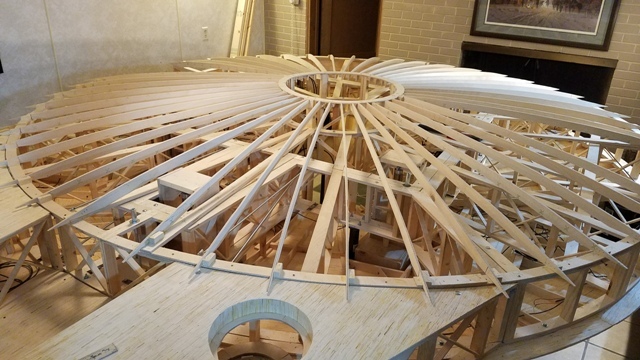 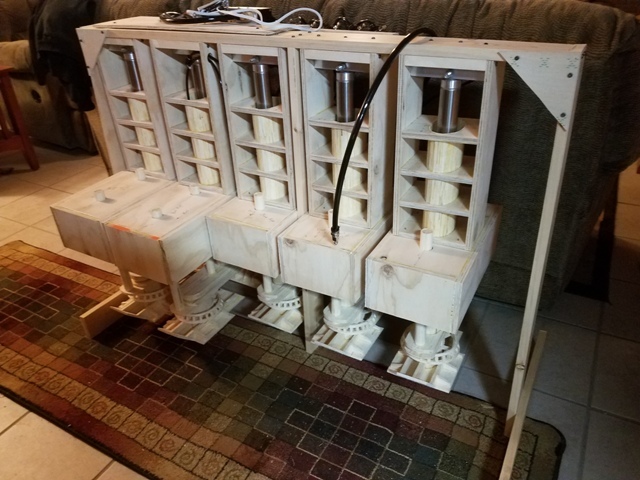 The model took 2500 hours, 26 gallons of wood glue, and weighs 700 pounds. 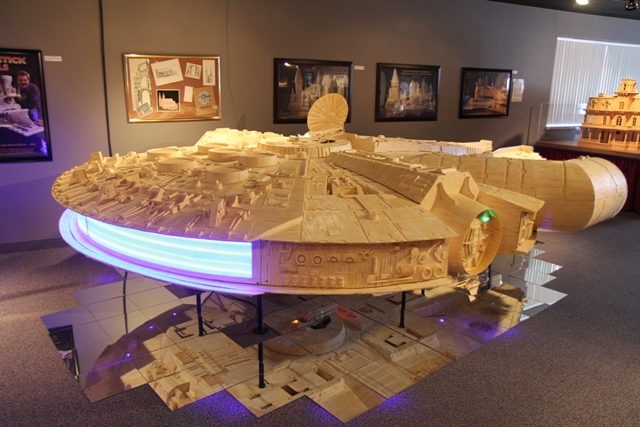 The Millennium Falcon is a spaceship in the Star Wars universe commanded by smuggler Han Solo and his Wookiee First Mate, Chewbacca. 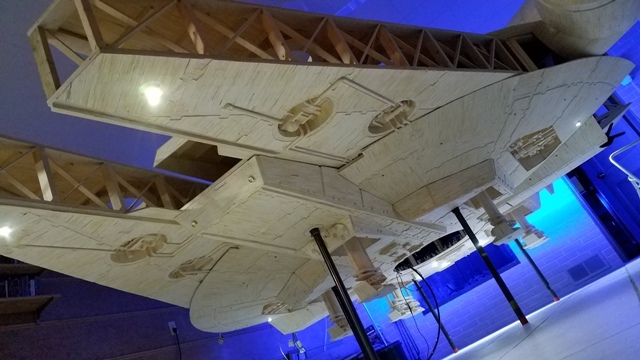 The highly modified Corellian ship, a YT-1300 light freighter, first appears in Star Wars (1977), and subsequently in The Empire Strikes Back (1980), Return of the Jedi (1983) and The Force Awakens (2015), with a brief cameo appearance in Revenge of the Sith (2005). 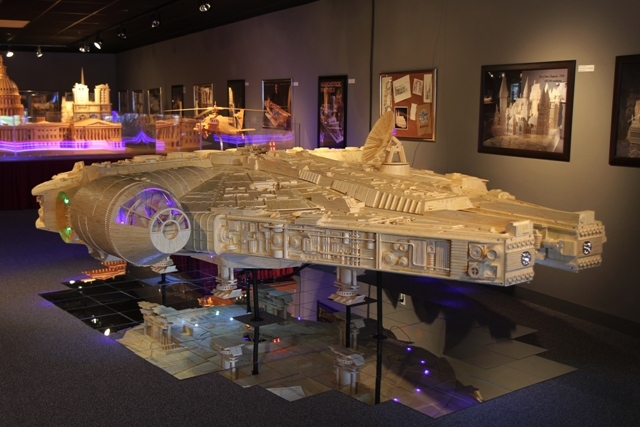 Since, the iconic ship has appeared in all subsequent Star War films. 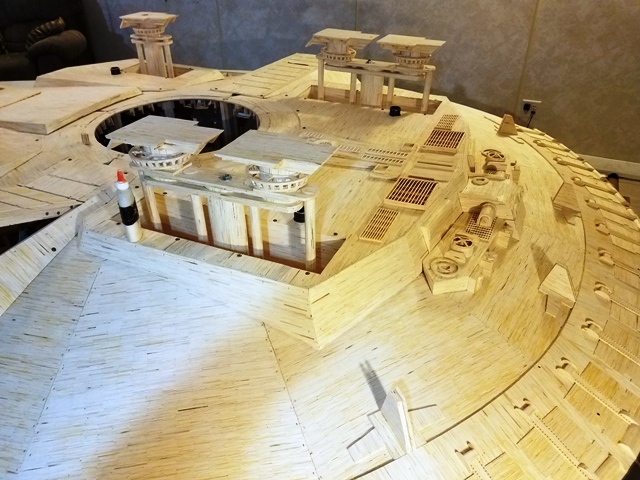 Construction completed in June 2017 and required 910,000 matchsticks, 26 gallons of glue and 2500 hours to complete.